If you - like me - love tasty food, your own culinary herb garden is fun and easy to grow. They also take up little space and herbs will grow fine in flower pots on a terrace or balcony. Herbs are essential ingredients for flavouring and spicing up recipes all over the world and it is fun to experiment with your own combinations. Most herbs you can sow yourself, but the easy solution is to buy small plants or get some from friends or neighbors. There are many herbs to choose between and below you will find a short description of some of the most popular ones which are great to use in your cooking. Basil (Ocimum basilicum). In Spanish called �Albahaca�. Basil is easy to grow from seed and is an annual �pick and come again crop�. Just pick the leaves and new ones will grow out. 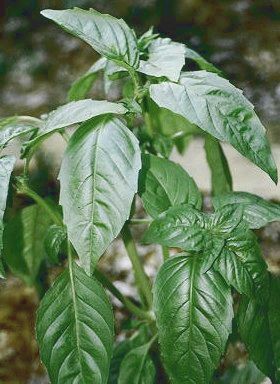 Culinary use: Basil is often used in combination with tomato or garlic like in pizza and pasta, but is also excellent with meat, poultry, cheese, egg, fish, and in marinades. Basil is best fresh as dried basil tends to lose some of the aroma. 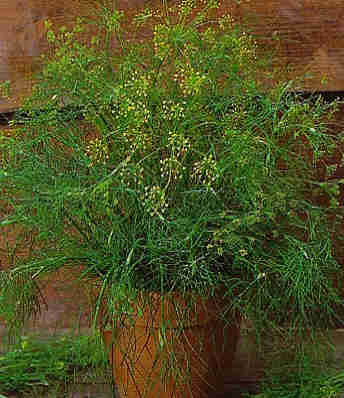 Dill (Anethum graveolens). In Spanish called �Eneldo�. Like basil, dill is also easy to grow from seed and is an annual herb that needs to be replaced every year. The young leaves are best for flavour and can be harvested at any time. Flower heads should be harvested after seeds have formed and the flower head has died. Culinary use: The seeds and flowers are used for homemade pickling and the seeds are also the main ingredient in curry powder. The young leaves are often used as garnish, with salmon, other fish and in salads. Oregano (Origanum, various species). Same name in Spanish. 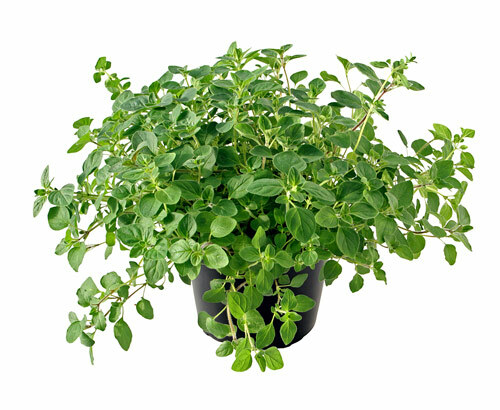 Oregano is a 2-4 year perennial herb and easily grown from seed. The young leaves are the best and you can harvest the leaves any time you like as soon as the plant is a bit mature. Culinary use: Oregano is widely used in the Greek and Italian cuisine and is probably best known from pizza and pasta dishes. Rosemary (Rosmarinus officinalis). In Spanish called �Romero�. Rosemary is harder to germinate than most herbs, so I recommend buying a young plant from your local garden centre. This will be a small investment as Rosemary is a perennial and will live for years. To harvest Rosemary simply cut the stems with a sharp knife. Culinary use: When used in cooking leaves can be cut up and used or whole stems can be placed in the roasting pan, chicken etc. 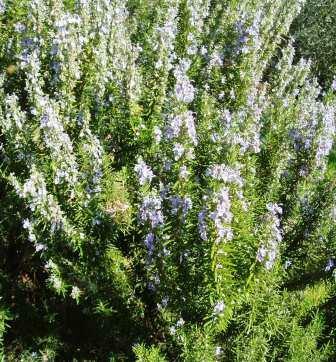 Rosemary is most commonly used with chicken and lamb. However, handle with care as the flavour easily dominates. 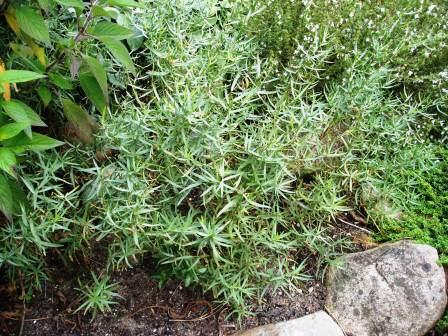 Large doses of Rosemary are poisonous and pregnant women should avoid Rosemary. Thyme (Thymus, various species). In Spanish called �Tomillo�. 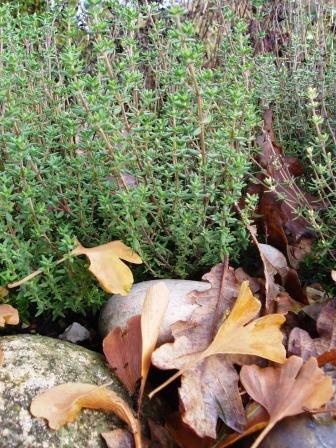 Thyme is a perennial, but should be renewed every couple of years. Thyme is easy to grow from seed and basically grows itself. The leaves are small but delicious. Culinary use: Thyme is a highly aromatic herb which blends well with other flavours of the region, like garlic, olive oil and tomatoes. Thyme is typically used with meat, fish, poultry, in pickles, etc. But like with Rosemary, use it sparsely as it easily dominates. 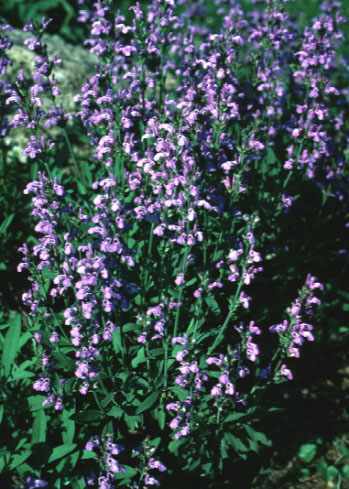 Sage (Salvia officinalis). In Spanish called �Salvia�. Sage is a perennial plant that should be renewed every 3 to 4 years. Best time to pick the leaves (usually after the second year) is before or at blooming. Only harvest lightly the first year. The drier the picked sage, the better for cooking! Culinary use: Sage is really nice with poultry and pork, but its use is limited only by your imagination. Tarragon (Artemisia dracunculus). In Spanish called �Estrag�n�. True French Tarragon is not grown from seed, but most commonly from division of the roots. It is a perennial and once started, it grows well with little or no attention. It is best to harvest the fresh leaves as the drier ones have less taste. Culinary use: Tarragon is very popular in French cuisine. Tarragon is best known for flavouring vinegar, but is also used to spice up salads, meat, poultry, fish, vegetables, sauces (e.g. b�arnaise), mayonnaise, and omelettes. Mint (Mentha, various species). There are more than 3.500 species and one of my personal favourites, also know in Spanish as �Hierbabuena�, is Menta sativa. Mint are easily grown from seed and are hardy perennial plants, that will come back year, after year. However, it is best to keep mint in a pot or bordered area as they will otherwise spread uncontrollably and take over your garden. Best time to harvest mint is just before flowering, but you can pick and use the fresh leaves any time. 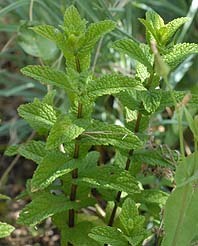 Culinary use: Mint is generally used to little, but is popular with lamb and also used in tea, drinks and mint jelly. Last, but not least, it is one of the main ingredients in �Mojitos� � a delicious Cuban long drink perfect for a hot day! (See recipe elsewhere on this page). Chives (Allium schoenoprasum). In Spanish called �Cebollino�. There are two types of chives. The most popular has a mild, onion-like flavor and the Garlic Chive has a slightly stronger garlic flavor. Chives are the absolute easiest herb to grow. It is grown from seed and is a perennial. Like with mint, once you plant it you've got Chives forever! When the chives are well established, they can be separated by division. Harvest Chives whenever you need them and cut them back if they get to six inches. This will promote tender, new growth. Culinary use: Delicious as garnish or snipped fresh into any dish where onions are used. 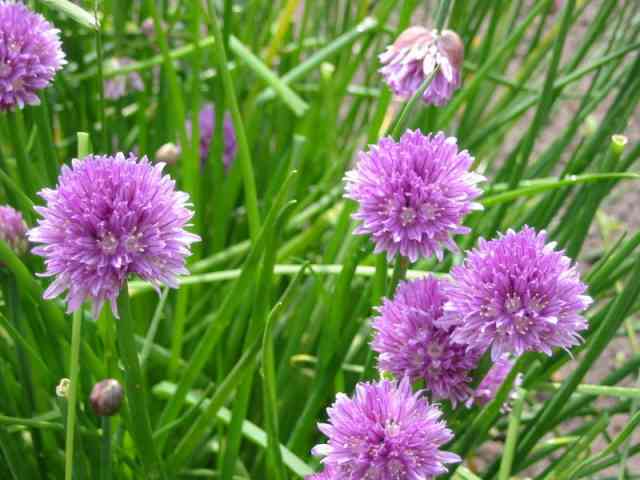 Chives are also very nice in salads, soups, omelettes, with potatoes etc. Parsley (Petroselium crispum). In Spanish called �Perejil�. Parsley is actually a vegetable! But most people think of it as a herb. 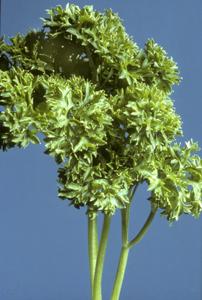 Parsley is a biennial plant, but is normally grown as an annual as results after the first year are poor. Parsley is easy to grow from seeds. You can harvest parsley as soon as the leaves begin to curl and are of sufficient size. Both the stalks and leaves can be eaten. Culinary use: Parsley can be used for flavouring or as a garnish and is often used in sauces, soups and salads. 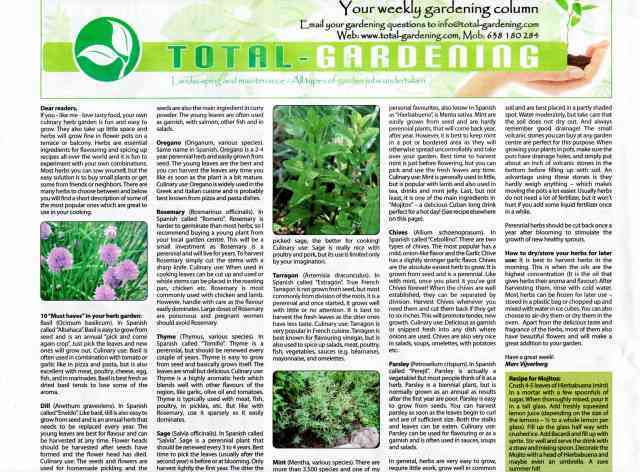 In general, herbs are very easy to grow, require little work, grow well in common soil and are best placed in a partly shaded spot. Water moderately, but take care that the soil does not dry out. And always remember good drainage! The small volcanic stones you can buy at any garden centre are perfect for this purpose. When growing your plants in pots, make sure the pots have drainage holes, and simply put about an inch of volcanic stones in the bottom before filling up with soil. An advantage using these stones is they hardly weigh anything � which makes moving the pots a lot easier. Usually herbs do not need a lot of fertilizer, but it won't hurt if you add some liquid fertilizer once in a while. Perennial herbs should be cut back once a year after blooming to stimulate the growth of new healthy sprouts. How to dry/store your herbs for later use: It is best to harvest herbs in the morning. This is when the oils are the highest concentration (It is the oil that gives herbs their aroma and flavour). After harvesting them, rinse with cold water. Most herbs can be frozen for later use � stored in a plastic bag or chopped up and mixed with water in ice cubes. You can also choose to air-dry them or dry them in the oven. Apart from the delicious taste and fragrance of the herbs, most of them also have beautiful flowers and will make a great addition to your garden. Crush 4-5 leaves of Hierbabuena (mint) in a mortar with a few spoonfuls of sugar. When thoroughly mixed, pour it in a tall glass. Add freshly squeezed lemon juice (depending on the size of the lemons � � to a whole lemon per glass). Fill up the glass half way with crushed ice. Add Bacardi and fill up with sprite. Stir well and serve the drink with a straw and mixing spoon. Decorate the Mojito with a head of Hierbabuena and maybe even an umbrella. A sure summer hit!